The design team at Basic have been working with Ubisoft lately on things like packaging, advertising and trailers. 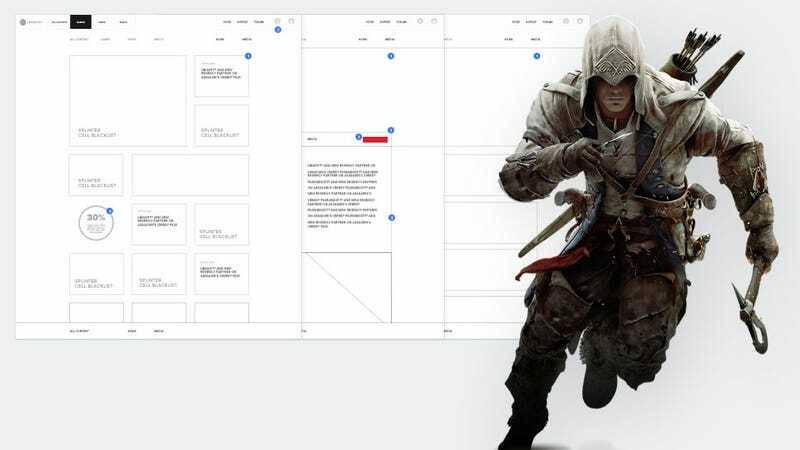 Feeling that the company's website could also "be improved upon", they put together a pitch for a complete redesign of Ubisoft.com. While it never went anywhere - and sounds boring as hell - it's actually a really interesting way of looking at how much design can (or can not) go into a video game company's presence on the internet, and at the opportunities there are to present more than just links to a store and some customer support. The pitch can be viewed at the link below.